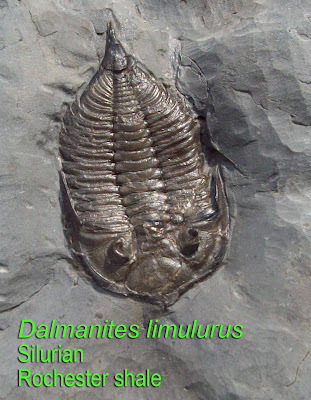 Here is a picture of a Dalmanites limulurus trilobite from the Silurian period. It was embedded in Rochester shale. The image was taken at a dealer tent at the Falls of the Ohio State Park located in Clarksville, Indiana during the Fossil Festival.